​Visiting Death Valley you should bring enough water whether you are doing a day trip or staying overnight. Groceries are pretty expensive in the park, in particular water … no wonder since this is how to make money in the desert! Nevertheless there are some restaurants close to the motels and hotels. But don’t complain about the prices - I told you. Entrée: $12 – 25. Decent and simple dishes covering typical American bar food! Have a closer look on the tables. Death Valley maps are painted on them with funny icons for each sight. Entrée: $12 - 25. 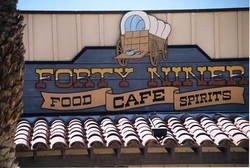 All American favorites, such as steaks, ribs, burger in a Cowboy-styled atmosphere. ​Next to my recommendations there are also a supermarket and common fast food chains and other restaurant chains located in Bishop. Entrée: $10 – 20. All American favorites in a Westerly atmosphere. 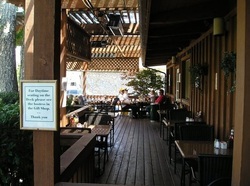 The restaurant has a nice patio you can easily spend the whole evening in summer. 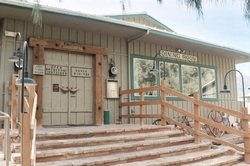 Don’t miss the Mammoth microbrewery beer and the burger while in Bishop! Delicious European style breads, pastries, homemade jams and honey you shouldn’t miss. This is not a place for dinner, but for breakfast or lunch. Alternatively I would just stop by picking up some bread and pastries to sweeten your drive to Yosemite or Death Valley.